2018 has been an exciting year for the travel and hospitality industry with massive consolidation and technological innovation. While it’s not over yet, hospitality leaders are already gearing up for 2019. Annual conferences grant us the unique opportunity to collectively celebrate what we’ve accomplished as an industry, and those bigger ideas we have in-store for the future. 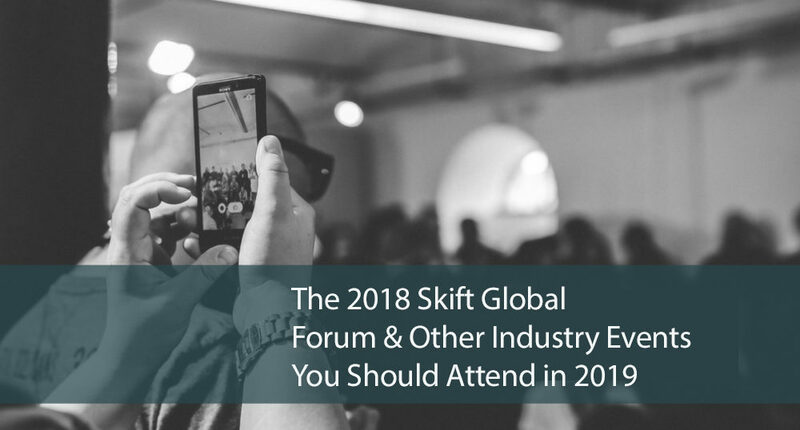 Perhaps one of the most exciting and expansive events of the year is set to unfold next week; the Skift Global Forum in NYC. The Skift Forum should definitely be on your calendar – but there are several other ‘can’t miss’ technology-centric events for travel and hospitality professionals, including the upcoming Phocuswright Conference which takes place November 13-15th in Los Angeles, and includes the Startup Program. And of course, there’s HITEC presented by HFTP with tradeshows taking place in Europe, Dubai and the USA. With the Skift Forum conference just around the corner away, let’s take a look at some of the highlights. The Skift Forum is known for attracting incredible minds and innovative hospitality leaders, but this year especially boasts an impressive line-up of attendees traveling from across the globe. 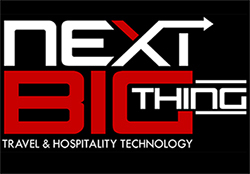 The diverse group of over 25 C-level and executive speakers are composed of hoteliers, travel agencies, airlines, destination management companies, technology vendors, startups of all kinds, and more. Each session is designed to be fast paced, intimate and thought provoking, presented in a TED-style format to keep audience engaged while moderators ask the tough questions. Audience members can get their say as well, using the official mobile app to ask questions and engage with speakers about any given topic. Following feedback from previous years, the forum has been scheduled in a way that allows attendees to truly maximize their networking time during the 1.5 day conference. With a revamped mobile app, it’s easier to connect with other attendees than ever via direct messages, before, during and after the event. The opening event has also been extended to 3 hours, to ensure attendees have ample opportunity to network and connect with other likeminded professionals in a casual setting. 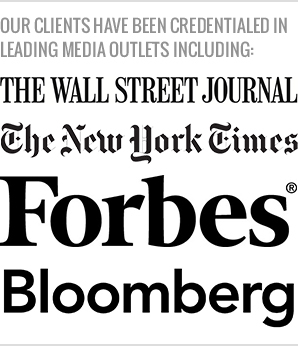 The attendee group will consist of 30% C-Suite, 25% VP/SVP/EVP and 25% Director, promising a high caliber of networking. The Skift Forum is offering a variety of hour-long breakfast and lunch workshops that will allow attendees to delve deeper into the biggest hospitality trends currently transforming our industry, within a small group setting. Designing a Meaningful Brand, Storytelling for Destinations and Brands and The Future of Conversational Commerce are a few of the sessions available to attendees. As an attendee, you’ll get an exclusive first copy of the Skift Magazine Global Forum Issue. A yearly staple, the print magazine highlights key trends in the market and analyzes the impact on the business of travel. Many of the on-stage conversations expected to take place throughout the event will be inspired by articles in this issue. Any reason to visit NYC is a good one, but attending this year’s Skift Forum gives attendees the chance to take in the city during an exciting time of the year. With events like Oktoberfest, the Bronx Night Market, Pop-Up Magazine, Boo at the Zoo and more — September is a great time to combine business with pleasure in NYC. We as an industry, have got a great deal to offer the global travel space and learning from others, creating innovative solutions and networking is amplified when you spend the time to attend these thought leadership styled events.